Writers are immortalized through the written word, but there is one unique piece of writing inextricably linked to their mortality: their epitaphs. My favorite thing about literary epitaphs is how reflective they often are of the life and work of the writers they commemorate. In honor of National Plan Your Epitaph Day (seriously), I’ve collected some literary gems that are now set in stone. Sometimes, death comes too suddenly for anyone to properly plan, so the burden of selecting an epitaph falls on a loved one. In Virginia Woolf’s case, her husband Leonard Woolf chose the last lines of her acclaimed experimental novel “The Waves“: “Death is the enemy. Against you I will fling myself, unvanquished and unyielding o Death!” These lines are poignant and bittersweet given the nature of Woolf’s death; after a lifelong battle with mental illness, she drowned herself. Primo Levi’s headstone captures the tragedy of his life as well. Initially, only his name and the dates of his birth and death were engraved. Later, a sequence of numbers was added: 174517. These were the numbers tattooed on his arm when he arrived at Auschwitz concentration camp. It is unclear when (or even if) Levi requested this addition. Often, an author’s epitaph is exactly what you expect it to be. It is impossible to imagine F. Scott Fitzgerald resting underneath anything but the last lines of “The Great Gatsby”: “and so we beat on, boats against the current, borne back ceaselessly into the past.” Some, however, are not what you would expect. The award for most disappointing headstone absolutely goes to to Oscar Wilde. Famously outrageous and witty, Wilde’s last words perfectly encapsulated his unique humor. The writer died of meningitis in a garishly decorated hotel room. 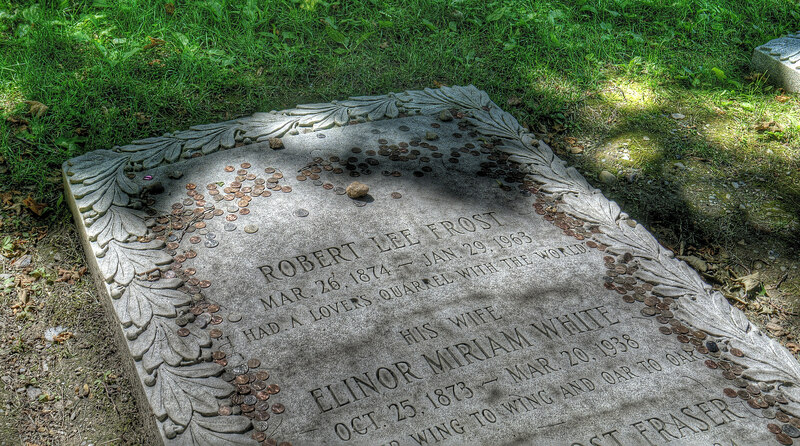 Though the accuracy of this account is up for debate, his last words are commonly cited as, “Either that wallpaper goes, or I do.” In contrast, his epitaph, taken from a poem he penned, seems a bit flowery and on the nose: “And alien tears will fill for him, / Pity’s long-broken urn, / For his mourners will be outcast men, / And outcasts always mourn.” Though not bad writing by any means, I expected something a bit more sardonic.